White Bear Lake, Minnesota: New Year’s goals, overhauled diet, and a Lakeville Crossfit Community kept Athena Perez on the right path. 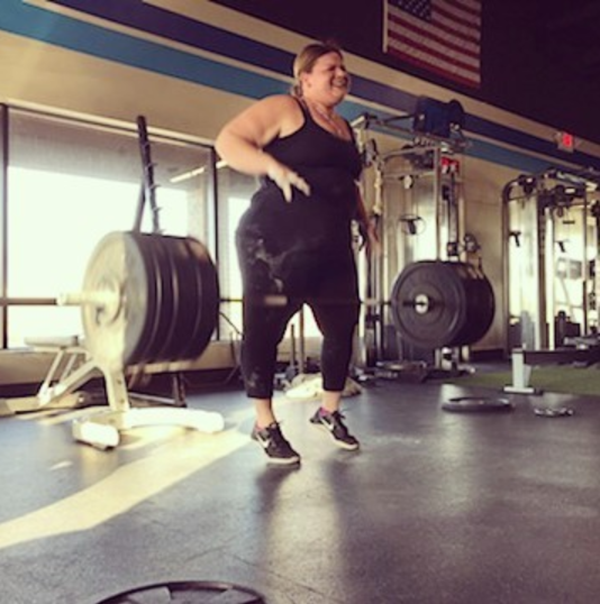 ST. PAUL, MN, January 12, 2018 /24-7PressRelease/ — A White Bear Lake resident lost 187 pounds in a single year after changing her lifestyle and joining a CrossFit gym. In January of 2017, Athena Perez weighed close to 450 pounds, needed two canes to move around her home, and suffered from a myriad of other health issues including sleep apnea. After receiving health insurance approval, Perez was on course to undergo Bariatric surgery in January 2017 to help her lose weight. But a last-minute change of heart saw Perez opt for diet and lifestyle changes instead. Her journey began by switching to a 100% clean eating diet, which eliminated sugars, dairy, red meat, sodas, and processed foods. In the first 30 days, she lost 26 pounds without altering any other components of her life. But in March of the same year, Perez joined Mi5 Fitness — a local CrossFit gym in Lakeville, Minnesota. “Walking into Mi5 fitness for the first time was one of the scariest things I’ve ever done in my life,” says Perez, “Fortunately, the staff and members at Mi5 encouraged me to begin my fitness journey. It was a safe environment for me, and the social support was a big deal, it was everything.” CrossFit is a fitness program founded by Greg Glassman in 2000. The program has exploded in popularity across the world, with over 10,000 CrossFit gyms currently in operation. Perez wants to do away with the notion that CrossFit or similar gyms can only work for super-athletic individuals. “While CrossFit has a cult-like image that conveys that the fitness regime is for those who already have strong athletic abilities, it can benefit individuals of all backgrounds but not only that it’s scalable,” says Perez. After one year of strict clean eating and integration of CrossFit training, Perez lost 187 pounds. “I still have about 90 more pounds to go, but hey it’s one day at a time”. I’ve Bean There is an online weight-loss blog written by Athena Perez. It provides advice, reflections, and commentary on her weight loss journey. It is especially geared towards individuals who want to lose large amounts of weight.